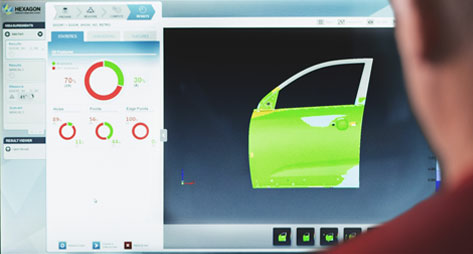 Join Fraunhofer IFAM experts, Christian Möller and Hans Christian Schmidt, accompanied by Hexagon’s Product Manager for Leica Absolute Tracker North America, Joel Martin. Learn how IFAM has captured the power of 7DoF to engineer low accuracy robotics coupled with laser tracker solutions to obtain fast, highly-accurate results in a high volume, large part production environment during machining processes by implementing real-time control strategies. BK: Welcome to HxGN RADIO. My name is Brian. Thanks for joining us today!